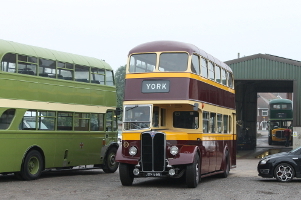 Austin 16, AFY 376 has seen plenty of activity recently. 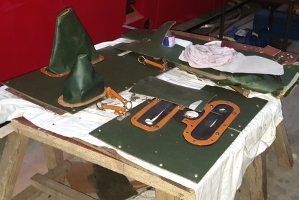 The engine is now complete and being prepared for start up. 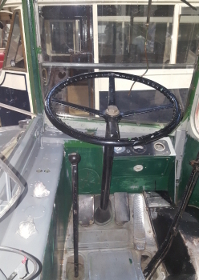 It is very stiff so has been gently towed up and down the yard by the Austin Gipsy, allowing the bearings to bed in without the stress of combustion. 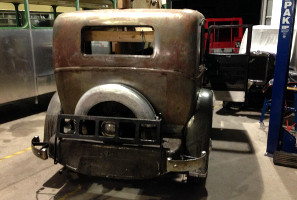 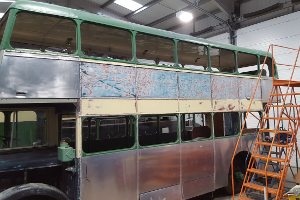 The body has been fully stripped and we are awaiting quotations for painting. 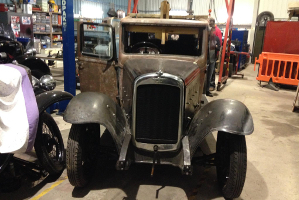 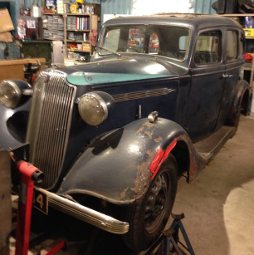 Vauxhall 12 Saloon, CWE 864 is making progress with the project to make it safe and mobile. 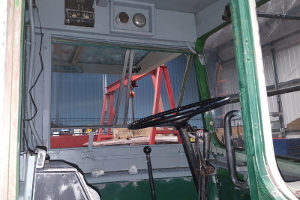 With space at a premium, all our vehicles must be capable of being moved if necessary. 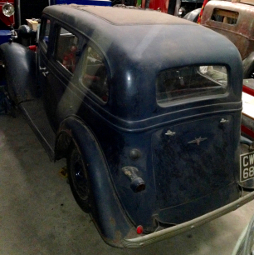 It is intended however to retain the appearance of a 'barn find' for now. 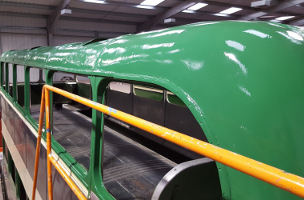 Bristol K5G / ECW, ONO 59 - Paul's work on the timberwork is nearing completion, and preparation on the paintwork is continuing ready for the painting season. 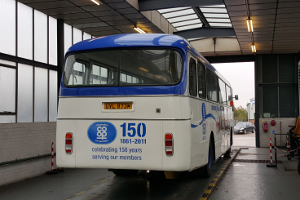 As well as our restorations, work continues through the year on keeping our operational fleet on the road - as well as regular maintenance, all vehicles used to carry passengers at events has an MOT test each year - many thanks to our members who helped take many of our fleet for MOT in preparation for last November's Open Day. 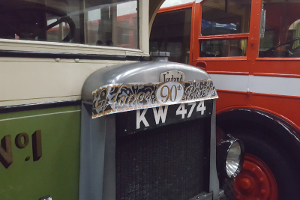 Our 2017 event dates added. 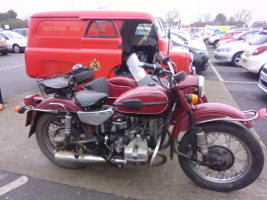 Out and about from the Museum - publicity and collection stand at Lincoln (Wragby Road) Tesco on 26 January, with our 1954 Bedford CA van on display alongside a visiting customer's motorcycle. 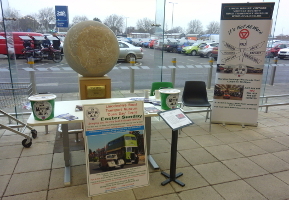 Many thanks to all at Tesco for making us welcome once again. 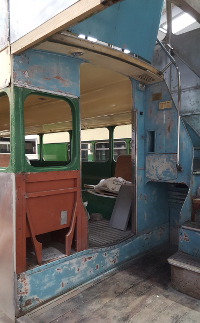 right - Guy Arab DFE 383 (Lincoln 23) is undergoing a long running repair to its manifold - while it is out of action, the opportunity has been taken to refurbish the cab interior. 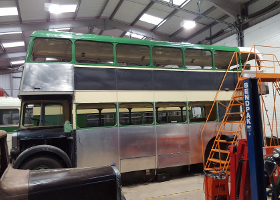 We hope this bus will be back on the road for Easter.